Nora Bojar advises U.S. and international banks, pension funds, public companies, and private individuals in connection with complex commercial litigations. Her work includes matters of exceptional sophistication, including disputes related to derivatives and other complex financial instruments. Representation, as successor counsel, of a major Canadian bank in connection with disputes related to derivatives trades with Lehman Brothers. Participation in an internal investigation on behalf of the Audit Committee of a NYSE-listed consumer financial services company in connection with the Committee's review of the company's previously issued financial statements. Representation of a major Canadian pension fund in a dispute with Lehman Brothers regarding terminated derivatives transactions. Participated in reaching a highly positive settlement for T-Mobile USA, Inc., in connection with antitrust claims related to an alleged conspiracy to fix prices of LCD screens. Representation of a member of one of the world’s wealthiest families in litigation and a six-month trial involving a will contest and claims of undue influence. 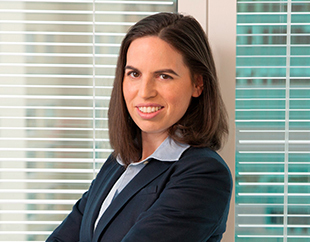 Prior to joining Friedman Kaplan, Ms. Bojar practiced at Sullivan & Cromwell LLP. Ms. Bojar is the founder of AIT North America, a non-profit organization that coordinates study abroad opportunities for U.S. students in Hungary.